A new and unique take on the humble crisp, enjoy a nutritious, high fibre snack. Emily's crunchy sensations are seasoned to perfection, bringing out the best possible flavours of our nourishing sweet potato. 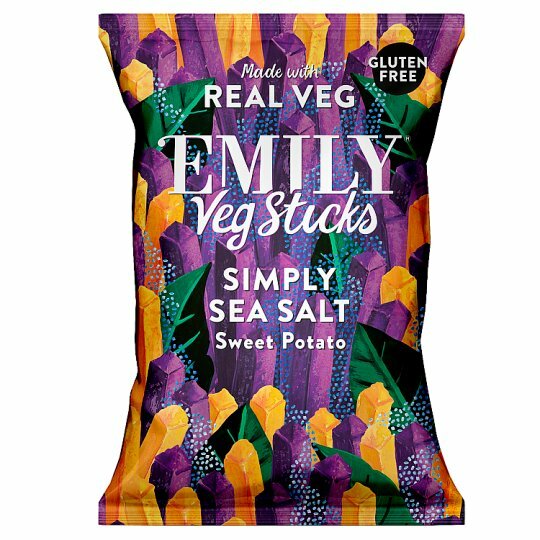 Discover an amazing crunch with Emily's mix of bold purple and classic yellow sweet potato sticks, gently sprinkled with sea salt. Emily lives for the discovery of delicious food, travelling the world to find the finest flavours. Taking inspiration from her adventures, Emily is now in the business of bringing the fun back to snacking, using her innovative technique which turns the freshest veg into crunchy crisps.